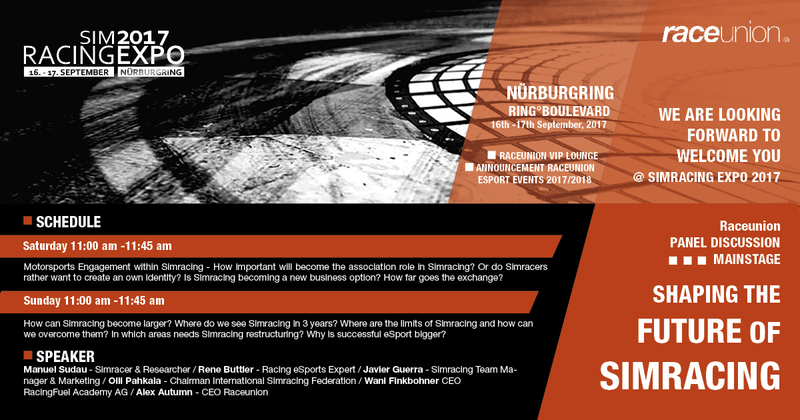 [Nürburg] – It has always been one of our major fields of work to discover new ways and opportunities in SimRacing. Within only two years of Rennsport Online, we organized and hosted the official KTM X-Bow Battle Online in 2015 and 2016. Together with KTM, we provided our overall winners of the series with stunning prices and successfully connected virtual and reality. Together with Dustin Hickmann from SimRC.de we exclusivley reported about one of the most professional racing series world wide in one of the biggest news portals on motorsport. With our column on www.motorsport-magazin.com, we gave some insights into the allday life of a professional SimRacing team during the Neo Endurance Series, Season 3. And, to name a third example, we opened new markets and opportunities to our partners of the Tölke + Fischer Gruppe, enabling them to expand their broad sponsoring of sports into the virtual world. To make a long story short: Rennsport Online is already actively involved within shaping SimRacing, at least within the limits of our ressources. However, this interest and intrinsic motiviation required many, many hours of true work, new lessons to learn and restructuring of processes all along. For all of us SimRacing is a matter of heart and all the effords we put into everthing which can be summarized as Rennsport Online, we do it as a hobby, beside what is called real life. We think, this more or less applies to most of the teams and drivers. However, SimRacing and eSport in general are experiencing a true Boom. A whole load of actors from in- and outside the scene push into our framework with very diverse interest and definitely it is challenging to answer this enormous variety of intentions and processes and finally find a way how to handle all this. SimRacing is reaching crossroads: Will SimRacing transform into another successful story of eSports or will it collapse due to the diversity of market players? Transformation or Collapse? What’s behind that corner? What is the future of SimRacing? Whats the role of SimRacing within eSports? What’s its potential? The framework is set: eSports is unstoppable! Obviously, eSports has not managed the breakthrough in terms of global reputation. Still many people think of gaming Nerds, when they hear eSport. The definition of eSport as ‘sport’ is also criticized often and discussed controversial, while in contrast even the US government for example officially recognizes eSport players as professional athletes (BBC, 2017). Quo vadis: But where is SimRacing? Is it an eSport? setting up the cars, requires engineering skills: How to read telemetry? What to conclude out of this and how to implement this knowledge back onto the track? calculating the strategies: How to manage tyre wear, fuel consumption or track position? reporting and marketing activities: How and what to report? To whom? When and what quality? teammanagement and human ressources: How to manage a team? How to combine different talents for the good of everybody? SimRacing not only is an eSport but a true sport; end of the story! Maybe because of the professional level on all aspects of SimRacing, it has become attractive to many. Nissan searched and found many real racing drivers already years ago with the help of their GT Academy program on Sony’s Gran Turismo. At least our own drivers of Patrick Langkau and Philipp Schallenberg made it to the finals there and finished P4 respectively P7! Many victories by drivers such as Jann Mardenborough or Lucas Ordonez are GT Academy’s outcome. Less prominent copies of this assessment center followed by others. Earlier this year, our SimRacing world whitnessed the Visa Vegas eRace with mixed feelings: on the one hand, a price money of US$ 1 Million was a new level for our dicipline, with Team Redline dominating this event, but on the other hand the performance of the whole event was a desaster, starting with poor physics and graphics to an unknowing global audience and ending with a race-deciding bug, resulting in a post-race correction of the race result. 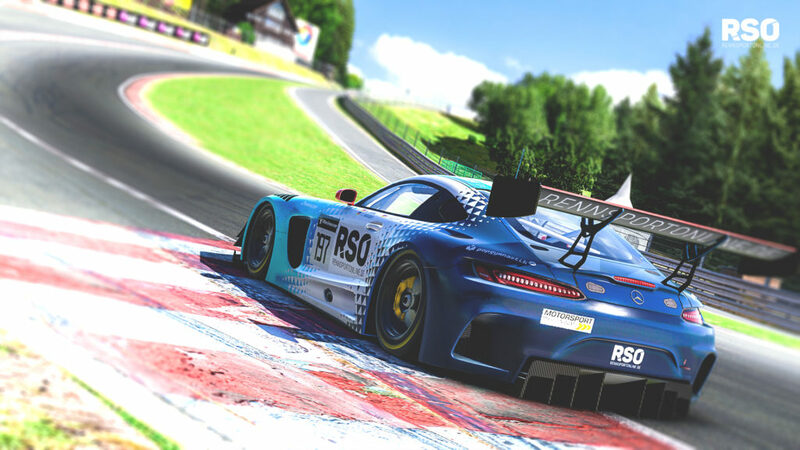 Another example of recognized development in SimRacing are the involvement of Mercedes Benz and the implementation of a tournament within the ESL, hosted on Project Cars. Furthermore Worlds Fastest Gamer is another casting show, helping the McLaren F1 Team to find a new employee for their simulator development (maybe Honda should better do a Worlds Best Engineer competition? Just saying…). And last but not least, Liberty Media shook dust off Bernie’s old fashioned Formula 1 and implemented a virtual eSport Series on F1 2017. Make your own opinion on all these stories, but obviously SimRacing is experiencing a heavy rise in interest, yes, we can call it a Boom! We even have our own (Sim)Expo! Even though, these examples feel like a rapid and promising development, above mentioned dimensions of other disciplines are out of reach at the moment. Within eSports, SimRacing is almost invisible, except for the few examples mentioned and in contrast to the extremely high level of competition on track as well as the well developed hard- and software! …however, SimRacing’s most trending keywords are surprising, props to ISRTV, but show, that ‘SimRacing’ itself has not a name yet (Google 2017; cf. Sudau 2013). SimRacing truely has a potential to be part of a strategic franchise strategy of (at least) motorsport-related companies and can help carrying a brand across the globe. Investors can sell their involvement as innovative and at the minimum, benefit from screen time, social media range or accessing new target groups (BBC, 2017). Furthermore, parts of real motorsport can be outsourced: testing new rules, setups or conditions are easy realizable and for some things there is no more need to rent a circuit, bring a racecar or provide all sorts of technical parts, fuel or insurances (ISRTV 2017). Hence, the benefits can be summarized as classical revenue-orientated ones and SimRacing-characteristic ones, where investments or sponsorships can help either saving money or maximize performance in real motorsports. Even though “the” potential is clearly visible, we cannot answer the question of how much potential there is. The examples are lighthouse projects: unsustainable and based on highly self-seeking intents of their respective organizers, still that is totally legit! And yet, these projects are important to make SimRacing enter the map of eSports, to become visible. However, it seems that all the external intentions, interests and expectations carried into SimRacing, interfere with a self-driven bottom-up development. The economic attractiveness is overtaking the capability to coordinate the development. This has to be criticized towards teams and drivers as well. It seems like, competition, low working power and lacking competences disable an overall improvement of SimRacings strucutres. In summary, a sensitive and highly fragile construct has risen, designed by a diversity of interests, but uncontrolled and guideless. Therefore, we think, we need a discussion, we need to create awareness amongst our branch and we need exchange: How can this process get controllable? By whom? How can we as an eSport discipline but also as an economic branch benefit from all these stories? How can all the market actors, teams, drivers, developers establish sustainable structures for our all passion? Green Flag: Gentlemen start your discussions! René Buttler: René is 29 years old, living in Cologne, Germany. He works as a project manager in publisher relations for the biggest eSports company in the world. He started SimRacing way back with Microprose Grand Prix one. After becoming one of the first contracted/monthly paid SimRacers in Germany over ten years ago, he also started to work as caster/presenter in SimRacing and managed international racing teams. He did everything from radioshows up to TV and live arena shows. After spending three years as a testdriver for sport- and racecars he returned to eSports in his current position, creating concepts for racing eSports with publishers and companies/manufacturers interested in racing, while hosting and casting the liveshows for these events. The last years he created shows and events like the Formula E Race in the UK, Formula E London Final, the Forza Racing Championship with its events in Los Angeles and New York, up to the recent Project CARS Major Championship Series and the Gamescom world final. He leads the projects from creation with publishers to executing it with admins and TV crews. Olli Pahkala: Olli ‘moustache-fanboost‘ Pahkala, 27 years, from Finland, is now based at Germany as Project Manager at Fanatec. He is founder and chairman of the Finnish SimRacing Association (2015-, this year getting SimRacing live on national TV from a LAN event and more to come), founder and chairman of the International SimRacing Federation (2016-) and Team Redline driver/manager. He finished 3rd three years in a row at iRacings World Championship Series (2014-16) and theoretically won the Visa Vegas eRace…well, we know how that went, he was 3rd! He has eight years of racing experience from karting (and rallying through Finnish forrests to get icecream, like everybody there) and is a SimRacer since 2012. Originally, he educated as Finnish Air Force Officer/Air Traffic Controller (BWOAH!). Wani Finkbohner: Wani (42), spent his lifetime in motoring. While working as a Journalist and Illustrator for Swiss and also well known International motorsports titles he was also racing in different one-make series (Formula and Touring Cars) all around Europe. Crowned by the title of the strong Czech Skoda Favorit Pick Up Cup (Circuit) in 1999. Wani Finkbohner was using his first simulators and very first data logging systems already in the early 90ies. As the Team Manager in FR2.0 EUROCUP, he was always believing in the aid of most recent computer technologies. In the past 15 years he built up his company RacingFuel Ltd. which is the sole distributor for well known motor sports brands in Switzerland. His newest company the RacingFuel Academy AG is focussing on the convergence of Real and Virtual Racing, producing and distributing his own High-End Simulators. Alexander Herbst: Alex is CEO and Driver at Race Union Ltd. He has been involved in Motorsports for the past decade. Starting in Rallye competitions in 2008, he developed business ideas and started Race Union Ltd in 2011. In 2014 he was awarded an Honorary ADAC award for extraordinary achievements and support of motorsport. On the track Raceunion was victorious. Several class victories in the long distance championship (VLN), the ADAC Zurich 24h race at the Nürburgring Nordschleife and the Porsche Carrera Cup were achieved. His passion for Motorsport also kick started his SimRacing career. Back in 2006 he started PlaySeats, one of the first eCommerce racing-seat distributers. While using SimRacing for learning new tracks, he quickly realized the potential the SimRacing community had. This is when Alex decided to take Raceunion into SimRacing. As a former CFO of Wirecard and current CEO of Deutsche Payment, Alex has been involved in eCommerce and the digitalization of payment processes since 1999. Philipp Schallenberg: Phil is 23 years old and grew up in the Nürburgring area, hence, he was born as a racer. He finished his studies in Marketing and Management and is working as an event organizer, consultant and marketing manager. He has various real and virtual racing experience, making it to the finals of Nissans GT Academy 2014, finishing seventh, and currently racing as a professional SimRacer at Rennsport Online. He has proven to be one of the best SimRacing talents in Germany many times and therefore is a classic example for acting between the lines of real and virtual motorsport. Manuel Sudau: Manuel is 31 years old and working as a lecturer and scientist at University. Motorsport and SimRacing are his passion and he is a SimRacer by heart. He is the head of Rennsport Online, a young German SimRacing team on the rise, already knocking at the doors of the elite. 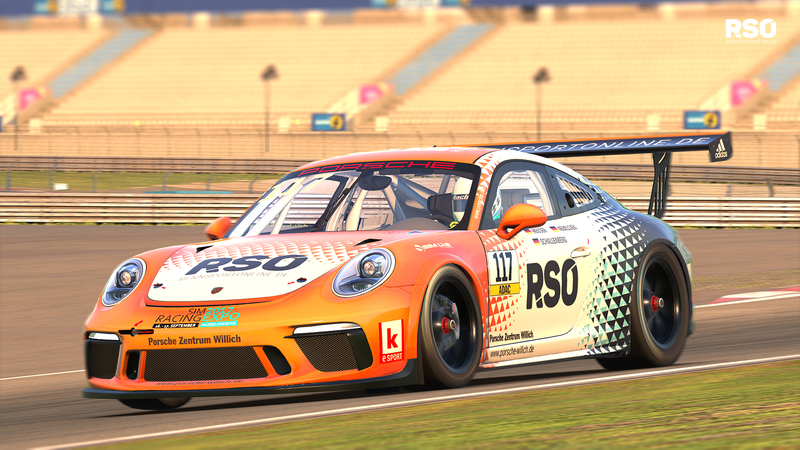 His team experienced an intense development: sporting success, marketing needs, reporting, cooperations and sponsoring, shaping professional and legal structures, organizing events, connecting virtual and reality, in short: the team undergoes the professionalization of SimRacing. Together with the organizers of the SimExpo 2017 and raceunion, Rennsport Online organized a discussion panel on the future of SimRacing. Starting at 11 a.m. on Saturday and Sunday, Manuel will discuss how to shape the future of SimRacing, together with his honourable guests and the audience on the mainstage of the SimExpo. The discussion will be broadcasted by P1TV and SRD TV on YouTube. Sudau, M. (2013): Analyse globaler Suchaktivitäten als Methode zur Identifizierung und Verifizierung von Einflussfaktoren für die Ausbreitung von nachhaltigen Standards am Beispiel LEED. University Press, Marburg.